Lean Manufacturing Certificate Training is just one of the many programs offered by the Center for Advanced Vehicular Systems - Extension. 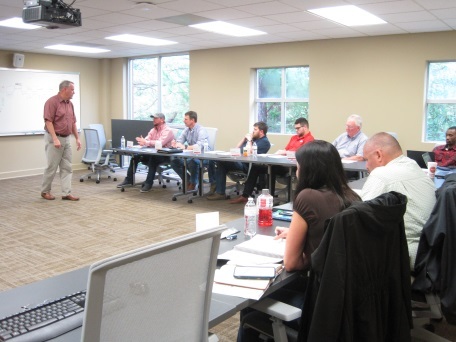 Through this program, manufacturers, engineers, manufacturing managers, and manufacturing executives learn to develop skills to help them recognize and eliminate waste in the workplace, and how to improve work flow in manufacturing operations. 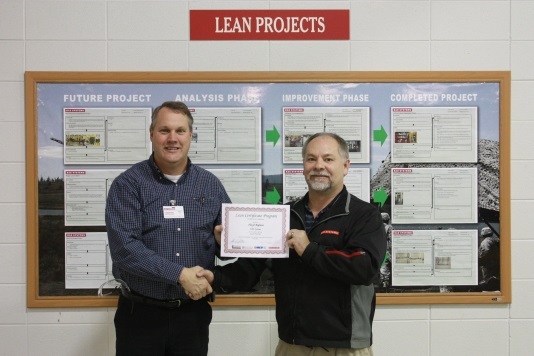 Lean Certificate training is offered throughout the year and is taught by John Moore, Senior Research Engineer at CAVS-E. Lean is a process of cost reduction and quality improvements that help companies create more value for customers by minimizing waste. Costs must be kept down and steps that do not add value and improve efficiency of a company may need to be eliminated in order for a company to increase its desired profitability and potential. Employees often contribute to excessive costs through mistakes that result in product waste and equipment damage. Investing in more efficient production methods, employee skills enhancement training, and an organized work environment can help to build a better business. Employee training can also boost workplace morale and improve skills that have a direct impact to the value and long-term success of the organization. Lean is built on a philosophy that encourages continuous improvement. Lean leaders recognize that to fully utilize the talents of the workforce requires that they train, develop, and involve all employees in the improvement process. While most companies understand that customer satisfaction is the key to business success, Lean training teaches employees to recognize that many of their daily activities do not contribute to customer satisfaction. Lean training also helps businesses to create an increased value for customers by reducing, or eliminating, unnecessary or wasteful activities, which frees up resources that can be reallocated for improving quality and speed of service. Through Lean training, participants become capable of identifying opportunities for improvement, implementing changes, and applying continuous practices as a part of their daily work by systematically finding ways to deliver more value to their customers. Lean training consists of 4 two-day sessions (64 hours of class time) over a four-month period. 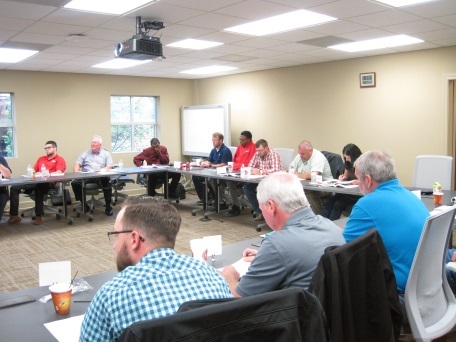 This training covers a broad spectrum of Lean topics in the areas of customer focus, waste elimination, improvement of flow, and continuous improvement. Each participant is required to utilize techniques and tools on an approved project that targets substantial benefits to their respective organization. When asked about the success of lean training for companies, Moore said, "It works because we don't go into a business and try to tell people how to do their jobs. Our goal is to teach people to see wasteful work practices and improve them. If we change the way that they think, they will still be making improvements long after we are gone." After training, a company that applies lean principles should be one that is dedicated to providing better products and services for customers by removing wasteful practices from the manufacturing or service delivery processes utilized. Companies that successfully utilize Lean practices can expect increased market share and revenue by providing exactly what the customer desires, as well as improved quality, reduced costs, and on-time delivery. 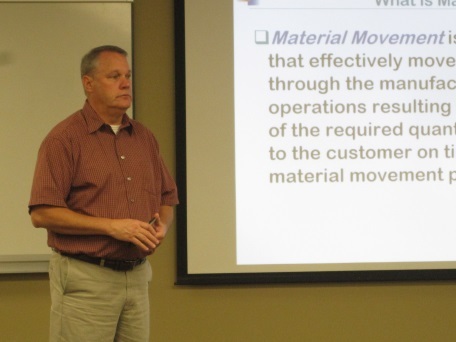 For upcoming dates on Lean Manufacturing Certificate Training and to register, visit www.cavse.msstate.edu/workshops, or for more information about Lean training visit www.cavse.msstate.edu/outreach/lean .